PADI IDC course including lunch on all days. Exclusive “Mock IE” – experience the PADI IE before you actually take it! 15 days is good… but 28 days is better! Our most popular IDC package is packed with everything that you need to be a successful Scuba Diving Instructor…and more! Note: Instructor Specialty Courses - you can choose from a wide range of PADI Instructor Specialty courses what you would like to include in the MSDT prep portion of the program. The PADI Enriched Air and Shark Conservation Specialty Instructor courses are included in ALL of our IDCs, because Nitrox is awesome and because we care about sharks! 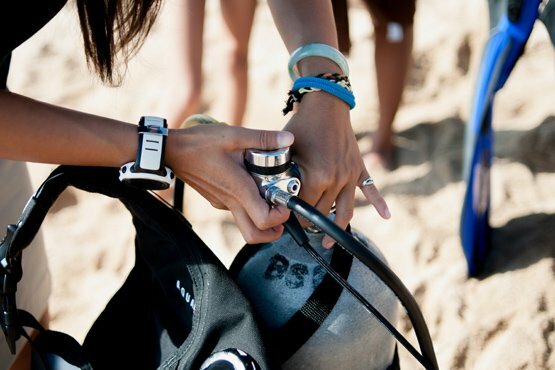 With our 28 day program you therefore gain a total of SEVEN PADI Instructor Specialty ratings! * In order to get the Enriched Air Specialty Instructor Course candidates must be certified as an enriched air diver. If you are not nitrox qualified before arriving in Bali, no sweat, we can fit that in too. The PADI Instructor Examination dates are set up by PADI and we cannot move these. However we have some flexibility with course preparation and specialty courses. We also run, if necessary, separate EFR Instructor courses and MSDT courses. There are several options for your PADI Instructor internship with us, please check out our different course packages and become a PADI Instructor in Bali with us! This package does include twin share accommodation, it does NOT materials and PADI Fees. Please refer to our pricing table (link) for more details or email us (link). A minimum 25% non-refundable deposit is required within two weeks of enrolment with the full balance due upon arrival. Deposits must paid via bank transfer or credit card. Balance payments can be made via bank transfer, cash payment or via credit card (no credit card surcharge applies).